After a year of surveys and interviews, Princeton Review has released a list of the best schools for game design in the United States and Canada. For those in the position to do so, choosing the right college or university to attend can be a lovely feeling. You've got a menu which you can peruse at leisure. Don't think about that nasty part where you have to send applications off and then wander around in a haze of self-doubt for the next few months. Nah! Just think of the good part. But which choices are best for aspiring game creators with designs on a college degree? 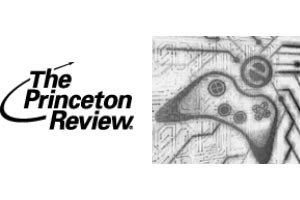 This year marked Princeton Review's third annual survey of game design courses in the US and Canada aimed at answering that question. Administrators from over 150 institutions offering courses in game design responded to 50 tailored survey questions as well as submitting information about graduate employment, faculty credentials, and scholarship availability to the final review. You can see the full list, including extensive "honorable mentions," over at Princeton Review's website. It's a diverse list and could make a useful tool for getting a feel of where you might like to study if a formal education in the practice of making videogames is something you're considering. If not, at least now you're armed with the knowledge of which institutions - roughly - stand to best prepare aspiring designers for work. What? It might be useful one day.